Because people sell and swap phones all of the time, this is not an uncommon event for people transfer data from one device to another. By transferring this information to the new device, they will always have access to this data without the limitation of time and place. For the data transfer from iPhone to Google Nexus 6, the biggest issue people need to consider about is the different operating systems of them: iPhone runs iOS and Nexus 6 runs Android. Then, is there a method to transfer data between two devices that are running different OS without troublesome moves? Of course! We sincerely recommend you to try the iPhone to Nexus data transfer program - Coolmuster Mobile Transfer. 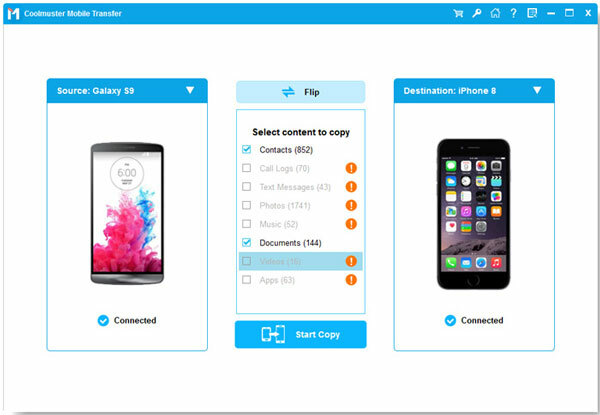 With the help of this program, you are able to transfer multiple contents, such as contacts, text messages, photos, videos, music, apps and more from iPhone 7/7P/6/6S/5/5S to Google Nexus 6/6P/5/5X/4 with ease. 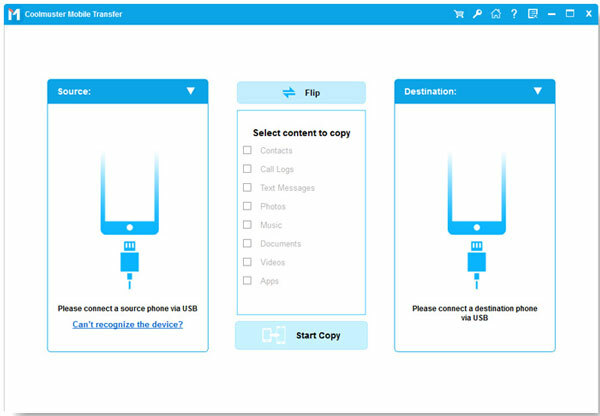 Download the free trial version of this iPhone to Nexus 6 Data Transfer tool on your computer. Then try syncing everything from iPhone to Google Nexus 6 as the steps below tell you to do. How to Copy Data from iPhone 7/7 Plus to Nexus 6/6P? First of all, you need to have the iPhone to Nexus 6 transfer downloaded and installed on your computer. Then, launch it immediately and choose the first "Phone to Phone Transfer" mode from the primary interface of the program. Note: Make sure iTunes is installed on your computer previously so that the program can work properly. Next, connect your iPhone and Nexus to the computer with two USB cables. The program will discover the two connected devices instantly and you can see both of them in the main window. You are able to transfer the contents such as music, photos, videos, messages and contacts from your iPhone to Google Nexus 6. Check the contents you want and then hit the transferring icon in the middle to initiate the process.